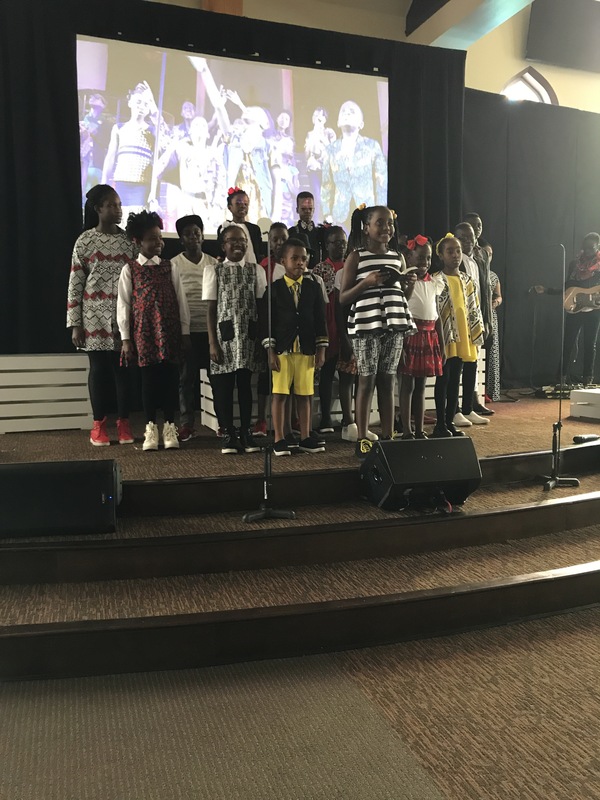 Let me introduce to my friends from the Watoto African Children’s Choir, from Uganda Africa. 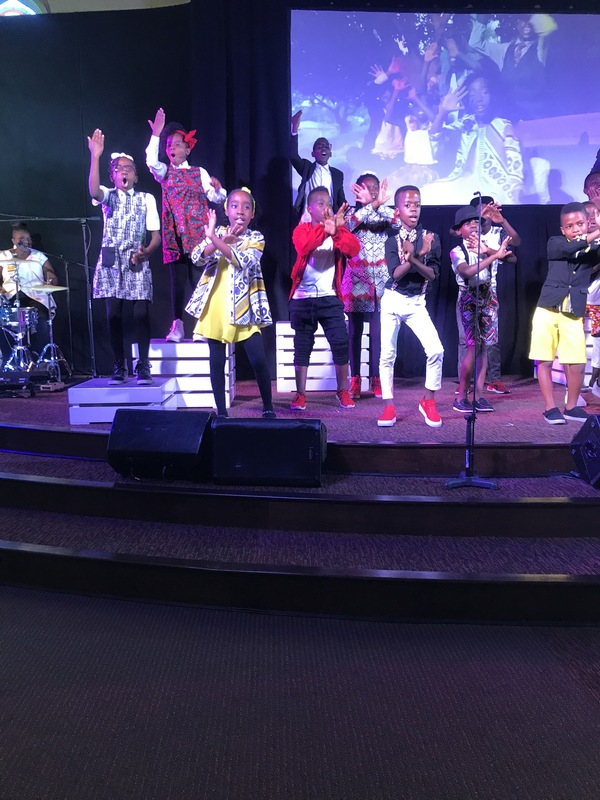 We were first introduced to Watoto at our church. We had never even heard of them before that. But in 2013, we brought them to Huntsville Ohio, and we watched their very first show. 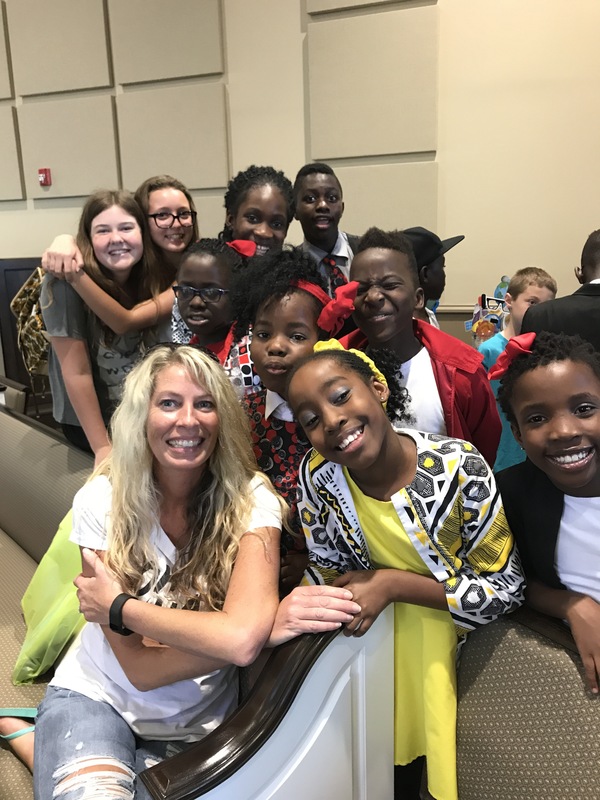 All of the children from Watoto are orphans. Some of them were brought into Watoto as babies, right off the street. Some of the children get to join Watoto when they are older. In Africa the women and children are very vulnerable and they’re not treated well. 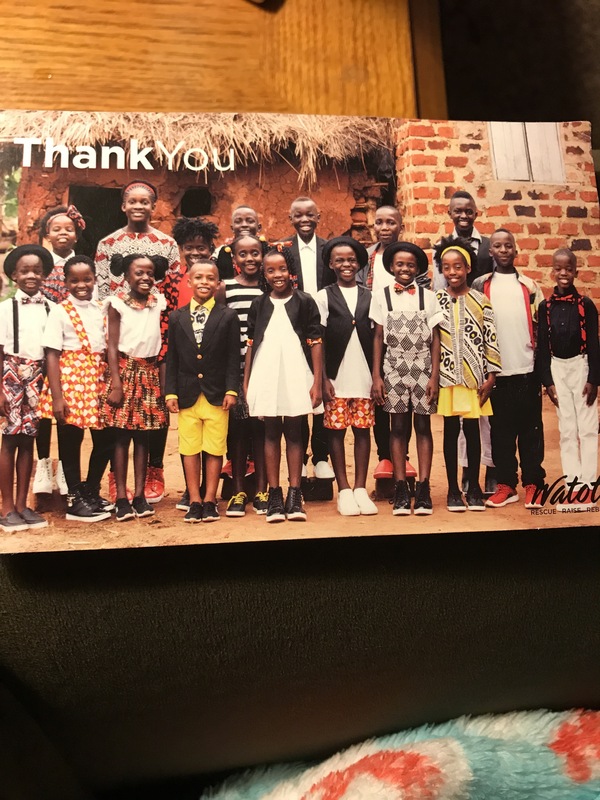 Watoto opened their doors to help rebuild these lovey souls. They take a mom, and put her in her own house. And inside her house she has 8 kids that she cares for. She makes sure that they eat, and do their chores. 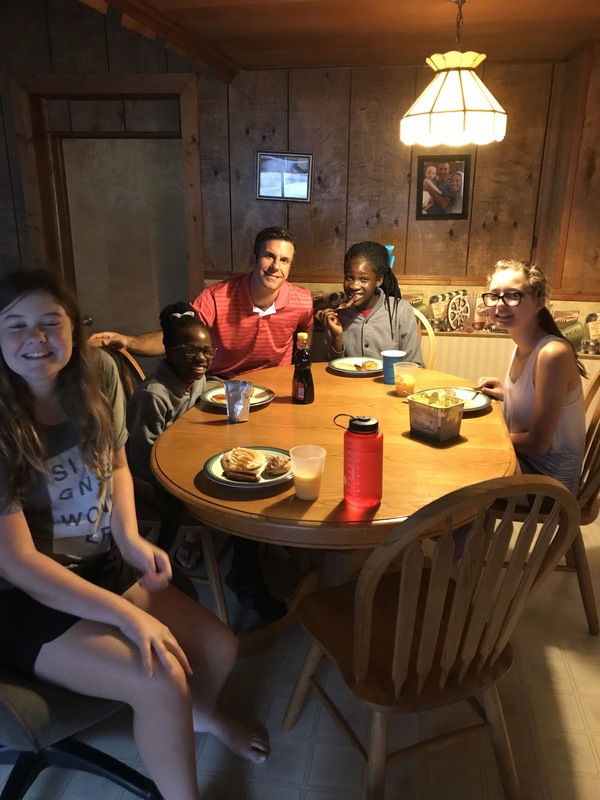 She’s also responsible for their devotions, and learning to rebuild their self esteem. The kids in Watoto get an education, and they get to learn how to take care of their hearts and spirits. They learn that they are exactly where they should be, the learn about hope. 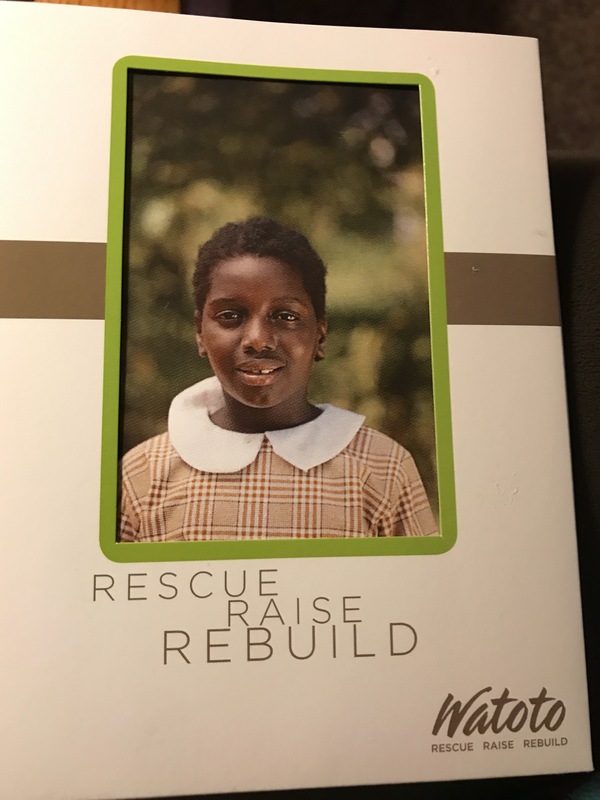 Martha is our child, and we started sponsoring her in 2013. She’s written us letters, and we’ve written to her. 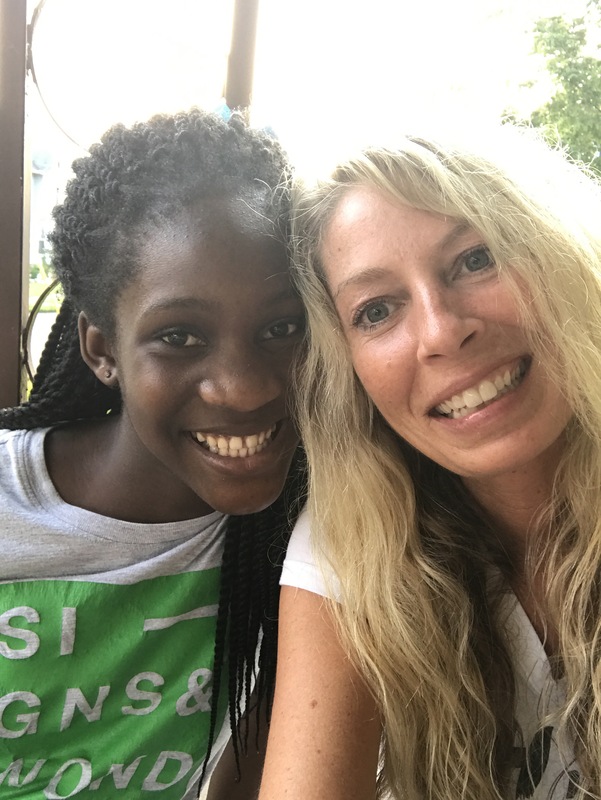 Martha was in the Watoto with her real mother. The Watoto helped them rebuild their lives, and gave them the tools they needed to learn how to love again. Unfortunately, after 3 years of sponsering Martha we got a very sad letter in the mail. I thought it was a letter from Martha when I opened it, but it wasn’t . 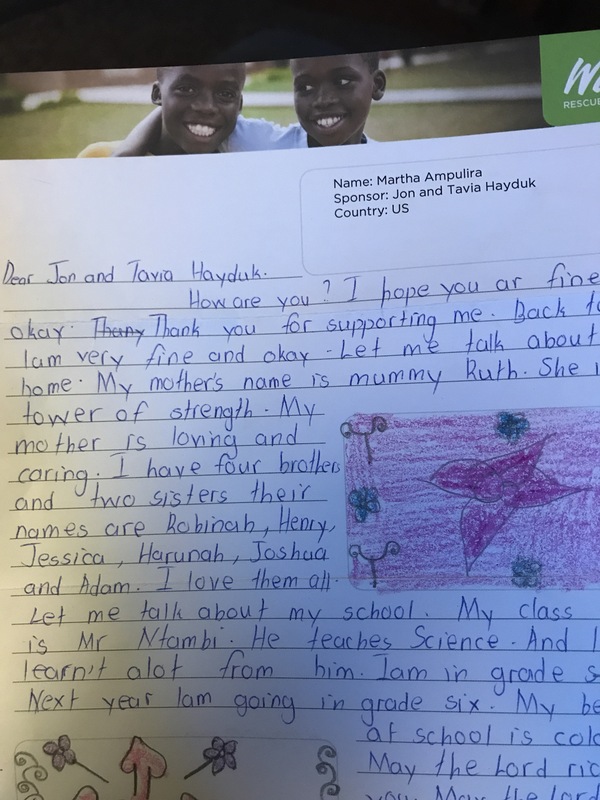 It was from the Watoto office, and they wanted to let us know that Martha’s mom had choosen to leave Watoto, and that meant that Martha had to go with her. My heart was broken, I immediately started to cry. I felt so sad that they decided to leave. I felt like I was losing one of my own children. Why would she take her child back out into the streets, and the wild when they had a safe place to stay? Why wouldn’t they want to stay there and have a chance at a better life? After many months of thinking and praying, I decided that it was too hard for her. Whatever Martha’s mom had been going through over there, had completely broken her. She tried to give herself and her child a better life, but something inside wasn’t working out for her. Might I ask you all to stop what your doing, and send up a short prayer for Martha and her mom. I truly believe I helped make her life better. I also believe with all of my heart that I’m going to read an amazing story about Martha one day! I know that God is not done with her yet, and I have faith that things will work out for her. 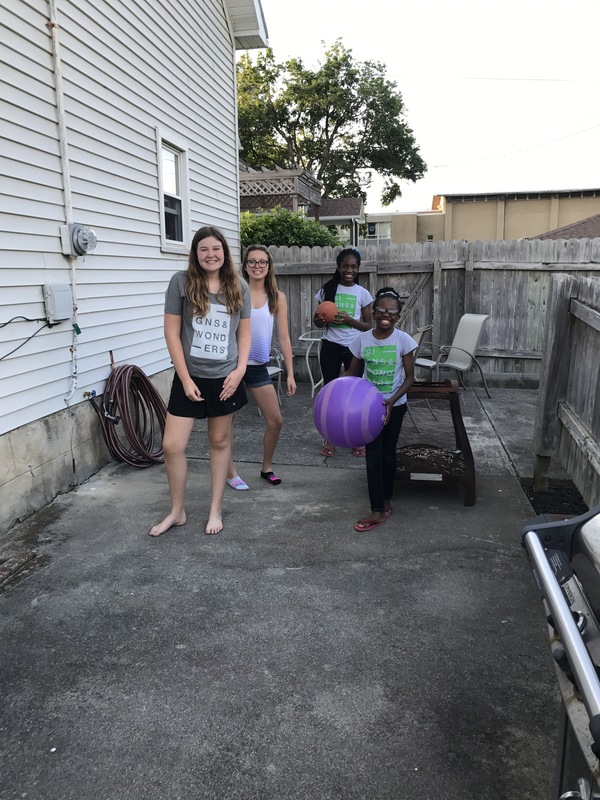 We sponsered another child that they sent us, and we are just getting to know her. The Watoto even offered to talk to me, if I was upset about Martha. They offered a sincere apology but reminded us that they are there on their own free will. 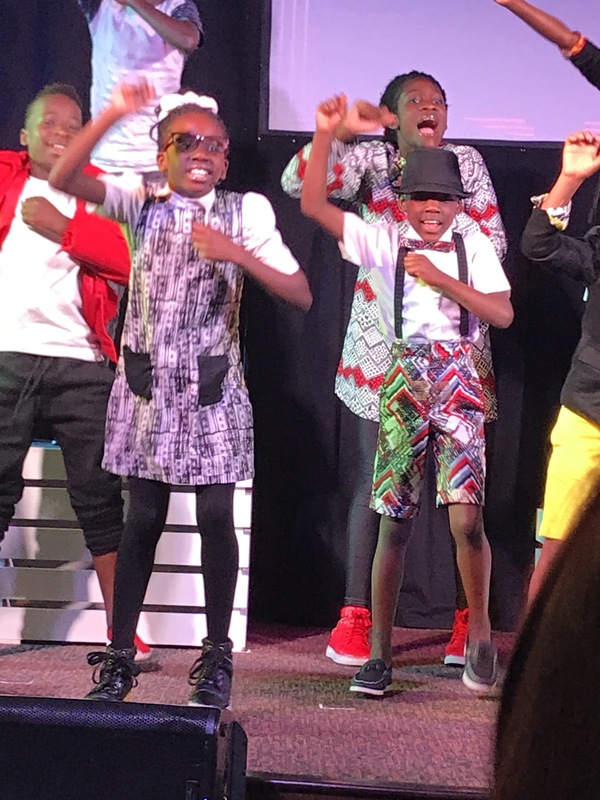 Our church just brought back the Watoto again last weekend. There are 18 children who sing in it it, and they are accompanied by a few Aunties, and Uncles. They travel around the country on a 6-7 month tour. 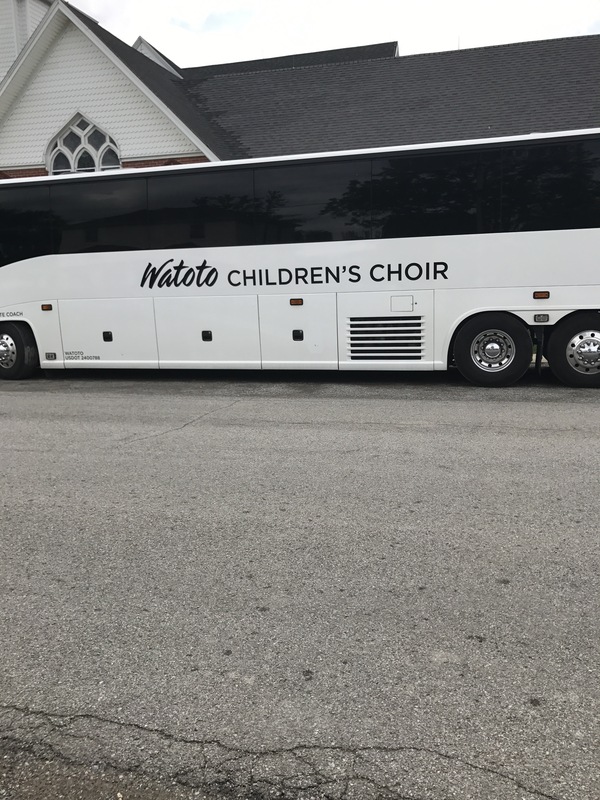 Every single child in Watoto will have the awesome adventure of traveling with the choir at least once. They get to experience “the states” and we get to experience their love. They called me Auntie Tay Tay, and they called my husband Uncle Jon. Saturday afternoon we went to church and watched these kids share their stories. They are full of love and hope. They have seen, and been through some crazy things over the years. that you can’t even imagine. But yet, they continue on full love, because someone has taught them that they are not a mistake. 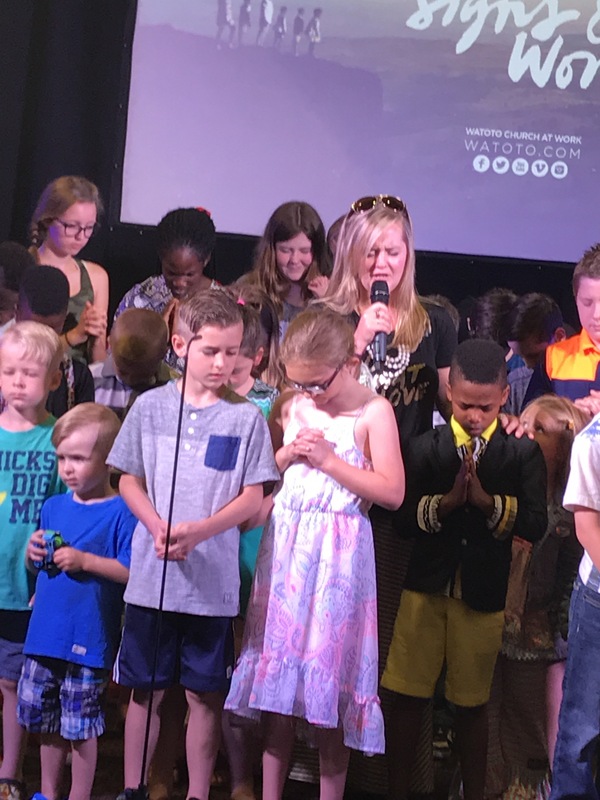 They are Gods children, and he loves them. We had the experience of a lifetime. We were asked to be a host family for 2 kids and 1 adult! Are your serious?????? I jumped all over that immediately! I get to spend the night with kids from the Watoto? What an amazing experience! We get to have Uganda in Bellefontaine? That’s Susan in the white bow, she spent the night with us. She’s 9 years old and both of her parents are gone. 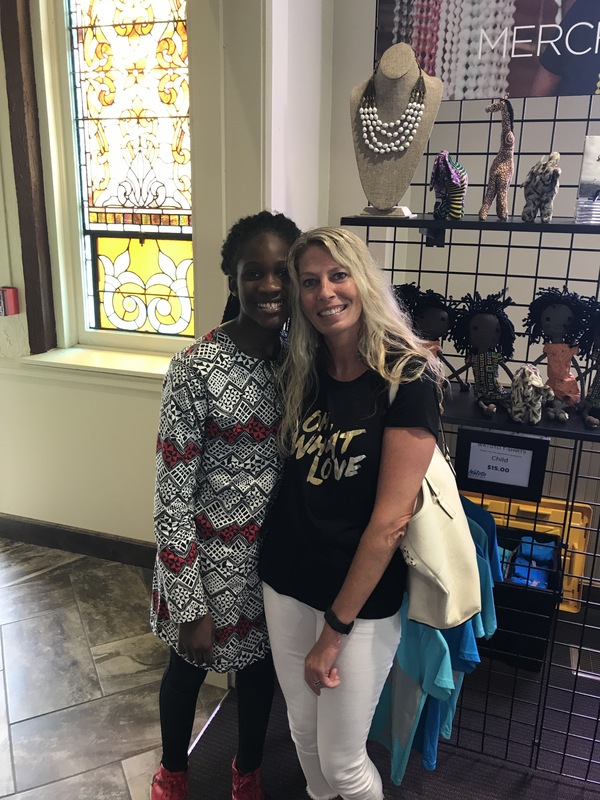 The Watoto brought her in off of the streets when she was 3. She wants to be a teacher someday, and how awesome is God for putting her in a teachers home for a night. This beautiful young soul is named Grace, and she’s 12, The same age as my daughter. I loved being able to see them play together, and learn about life from each other. Grace has a smile that lights up the entire room. I’ve been thinking about how I can describe it to you? How can I possibly put those feelings into words? I never in a million years dreamed that I would have them in my home. What an honor, and a privilege, that our family has been blessed with. We tried to give them our version of life in the states. The girls played ball with them, we ate ice cream with lots of toppings. They played tag, and ran around the yard and acted like kids. That was probably one of my happiest moments, just watching them laugh with sheer joy, and learn from us with wonder. 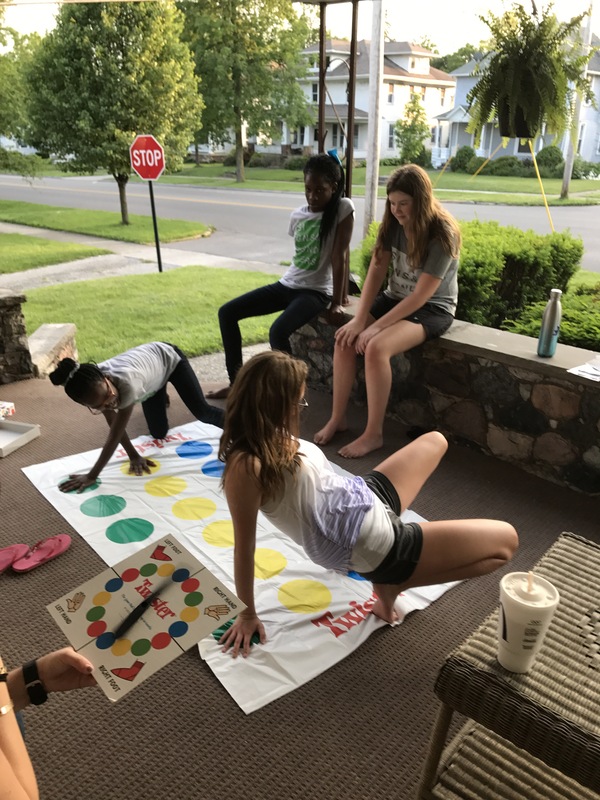 They thought twister was fun, and so did we. We were the host family, but we gave them nothing, compared to what they gave us. They gave us hope, love, faith, endurance, joy, gratitude and so much more. God blessed us with this experience. I cannot imagine my life without the Watoto children it it. They will teach you that no matter how bad your life is, your not alone. They will teach you how to overcome the worst possible life tragedies, and turn them into love. 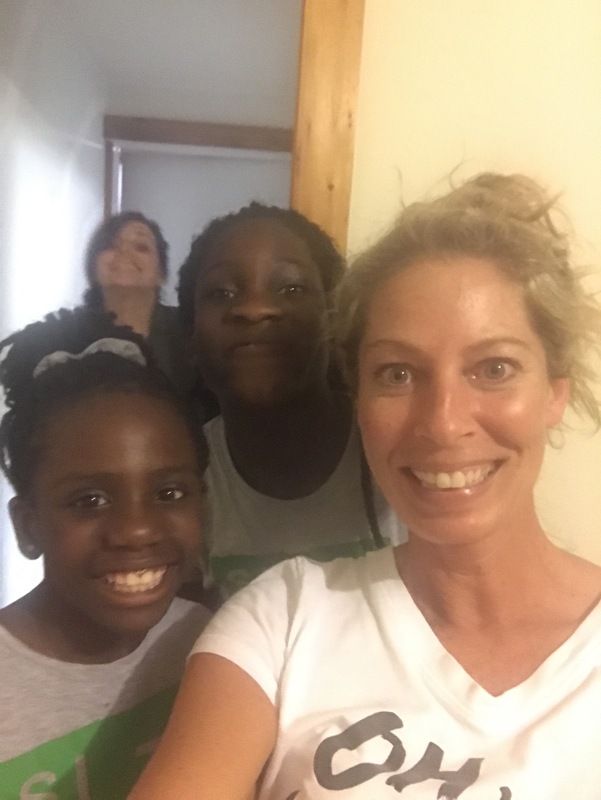 I am a different person because of the Watoto! 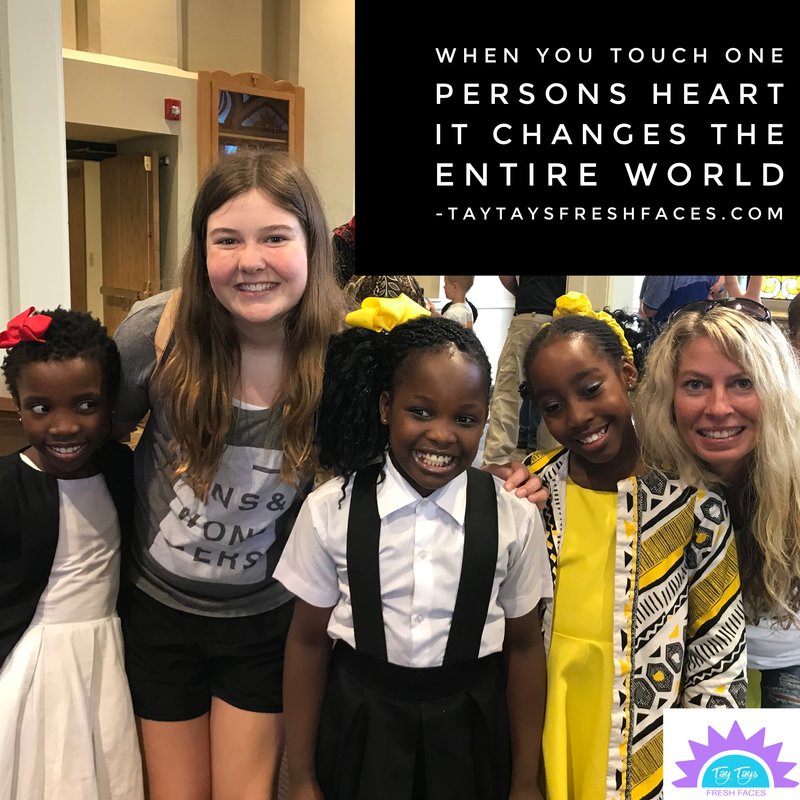 I am a different person because these sweet girls touched my heart in a way that no one else could. You see even though my childhood was nothing like theirs, I still understand their feelings of rejection. I understand the power in their hearts to do different,to be different, and to love themselves. God is amazing in so many ways. 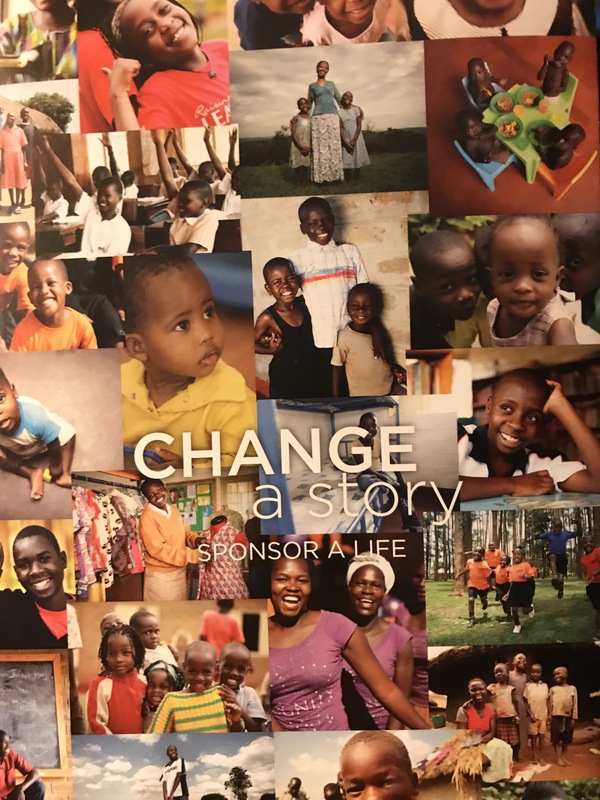 It costs 40 bucks a month to sponsor a child, or mom in the Watoto! We’ve never once in the last 5 years missed that money. We know that it’s going to a good place. We know the people behind the Watoto, and We support their dreams of rebuilding hope in Africa! This is a story of love, and of hope. This story includes faith, and commitment. These kids have changed us forever, and I know that our love has changed them as well. If you want to change your life, might I suggest you begin by giving. God rewarded us by letting us have those sweet kids for the night! He knew that we were faithful with our giving and with our love towards them. I’m guessing God has even more plans for us and the Watoto. I believe this is only the beginning. If you would like more information on the Watoto, please contact me and I will answer your questions. I am humbled by these sweet souls and I can’t wait to get some new letters in the mail from them. When you do something for someone who can never repay you, then you will know the real meaning of love!